This indeed is a new dawn for MSME financing in Nigeria. 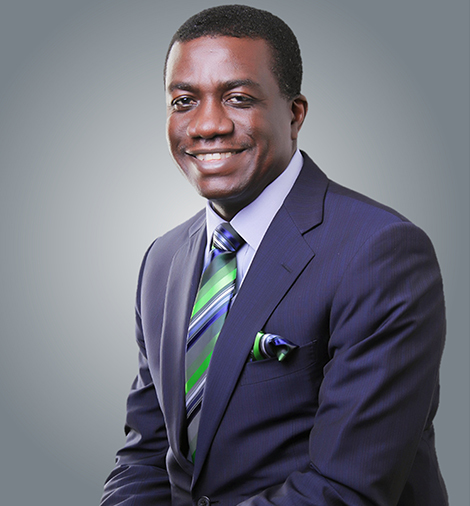 Mr. Tony Okpanachi was appointed Managing Director/CEO of Development Bank of Nigeria Plc (DBN) in January 2017. He is a seasoned banker with over 26 years’ experience. Before his appointment as Managing Director/CEO of DBN, he was the Deputy Managing Director of Ecobank Nigeria Limited since April 2013. Prior to that, he was the Managing Director, Ecobank Kenya and Cluster Managing Director for East Africa (comprising Kenya, Uganda, Tanzania, Burundi, Rwanda, South Sudan and Ethiopia). He was also at various times Managing Director of Ecobank Malawi and Regional Coordinator for Lagos and South West of Ecobank Nigeria. Earlier in his professional career, he managed various portfolios including Treasury Management, Retail Business Development, Corporate Finance, Corporate Services, Branch Management and Relationship Management. He holds a Master degree in Business Administration (MBA) from Manchester Business School UK, a Master of Science degree in Economics from University of Lagos and a Bachelor of Science degree in Economics from Ahmadu Bello University, Zaria, Nigeria. He has attended several Executive Management Development Programmes on Leadership, Corporate Governance, Credit and Risk-Management in leading institutions.